PRIMEX offers a variety of float-based and transducer-based pump controllers to suit most municipal and industrial water control applications. With complete in-house printed circuit board (PCB) capabilities, our controllers represent the most reliable integration of engineering and manufacturing in the industry. Utilizing the latest in electronic assembly techniques and equipment, including J-Standard Certification, you can be sure quality is built into every controller. One of our greatest strengths is our expertise in the municipal water control industry. All of our pump controllers incorporate features that reduce the amount of field expertise required to operate the system. Compact construction protects downstream pumps and lines from blockage and damage. Several cutting screen patterns are available to suit your application. High throughput, low power consumption. Quick and easy replacement of wear parts. Low replacement cost of wear parts. Easy access to cutting head and inlet chamber. Easy disposal of settled matter. Protection of the gear motor by an oil cooled mechanical seal. 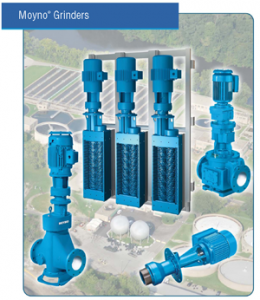 In-line RotaCuts are frequently used on all aspects of waste water solids conditioning. From septage receiving at the front of the plant, to digester and clarifier feed, RotaCut can be installed with your existing pumping equipment, or as a package with a Vogelsang positive displacement pump. Additional uses are specific solids conditioning for maximum effectiveness of heat exchanges and SBR plants. Stop ragging and hair build-up for good. Used in either pre-process or post process, the RotaCut in-line is your answer to solids conditioning in many food related applications. From processing potato, fruit, and vegetable waste into mash, to reduction of solids of animal internals, RotaCut provides a cost effective way of making common scrap material into revenue generation through saleable conditioned feed stock for Bio-Gas and similar energy producing processes, in addition to animal feed enrichment stock. Protecting mainly the wastewater side of the process, RotaCut in-line grinders, protect the clarifiers, primary and secondary sludge pumps, belt filter and plate and frame presses, and centrifugal pumps from wood chips and bark, wire, coarse debris, floor drain waste, rags, rope, string, and other fibrous material, that could easily damage typical waste water processing equipment.